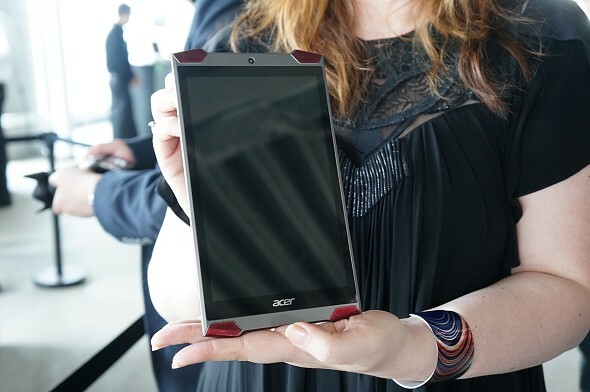 Yesterday Acer unveiled a wide array of new products at a press conference in New York. 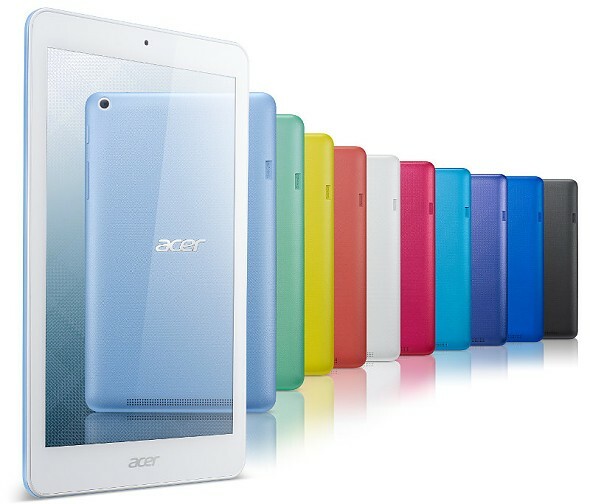 Among these were two new tablets - Acer Iconia One 8 (B1-820) and the Iconia Tab 10 (A3-A30). The company also teased a third slate - the gaming-centr Acer Predator Tablet. The Iconia One 8 (B1-820) is a budget-oriented device with an 8-inch displayof the modest 1280 x 800 pixel resolution, a body with a thickness of 9.5mm and a quad-core Intel Atom processor. The amount of RAM is still unknown, but the aforementioned chips, along with Android 5.0 Lollipop should provide ample performance, especially for a budget device. Onboard storage is set at either 16GB or 32GB and the battery should provide up to 8.5 hours of endurance according to official information. 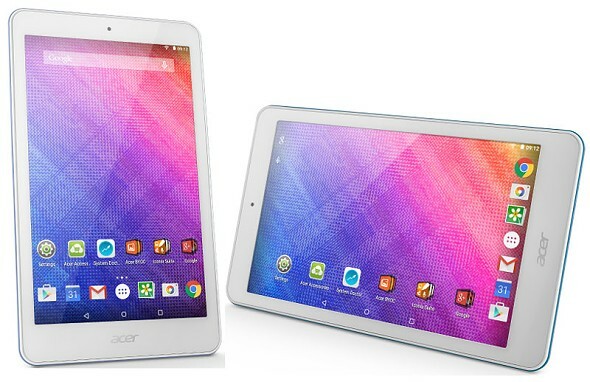 The Iconia Tab 10 (A3-A30) is also designed with a specific goal in mind. It is intended for educational use and is set to join the Google Education ecosystem. Like it name suggests, it has a larger 10.1-inch IPS display with a resolution of 1920 x 1200 pixels. RAM is set at 2GB and storage options are abundant with 16GB, 32GB or 64GB. The processor is a quad-core Intel Atom and the device runs on Android 5.0 Lollipop as well. Both devices are equipped with screens based Zero Air Gap technology and leverage Acer Precision Plus for improved touchscreen performance. Both also have 5MP rear cameras and front-facing shooters as well - 0.3 MP on the One 8 and 2MP on the Tab 10, respectively. The full list of specs can be found below. 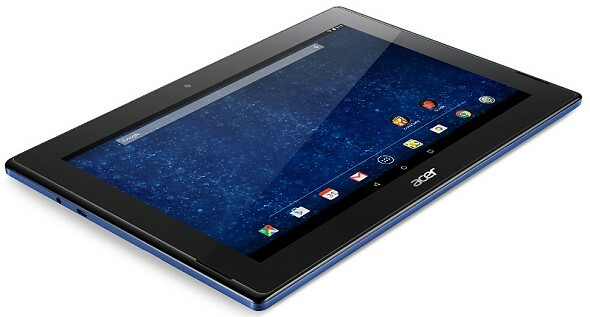 As for the third tablet that Acer teased during the event, it is geared towards the Android gaming market. Not much is currently known about it, but we do have a few photos of the upcoming device. It definitely hits big on looks with four red grills on the front, which, hopefully, all house speakers. As for hardware, everything is still a mystery, except for the screen size, which is 8 inches. Acer also hinted that the Predator tablet will come with some kind of haptic feedback and, much like most console controllers, provides some physical response while gaming. As far as pricing and availability goes, the Iconia One 8 B1-820 should be available in North America in July with a price tag of $145 and by April in EMEA for €179. It will come in a large selection of 10 colors. The bigger Tab 10 A3-A30 should hit stores in North America in May with a price of $299, as well as select EMEA markets for €299. It comes with optional stylus, protective film, bumper case, protective sleeve and wireless keyboard dock. As for the Acer Predator, all we currently know is that it should be coming in Q4 this year.